Bhubaneswar : L V Prasad Eye Institute (LVPEI) inaugurated the Newborn Eye Health Alliance (NEHA) at their Bhubaneswar centre the Shri Mithu Tulsi Chanrai campus. Blindness and vision impairment in newborns and young children are on a rapid rise in India owing to improved newborn care and swift socio-economic development. Amongst the various eye disorders in neonates, Retinopathy of Prematurity (ROP) and Amblyopia are two major disorders affecting them and has emerged as a severe challenge particularly in developing and middle-income group countries. LVPEI Bhubaneswar is a pioneer in providing Retinopathy of Prematurity (ROP) services in Eastern India and is the only Centre in Odisha providing Pediatric retinal imaging, neonatal intensive care facilities in addition to ROP care under one roof. NEHA, which is supported by Mr. M. H Dalmia, former president of OCL, will further enhance LVPEI’s capabilities and increase the reach in Odisha. 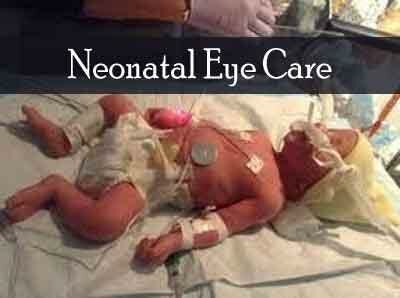 The centre with state-of-the-art equipments for Newborn Eye Care and basic lifesaving neonatal care has a team of highly skilled pediatric retina specialist and support staff of anesthesiologist, optometrist and speically trained nurses capable of handling the most critical newborn eye diseases, especially ROP. The World Health Organization (WHO) has underscored the importance of this condition by including ROP as a major target disease in its prevention of blindness program, VISION 2020 – The RIGHT to SIGHT programme to combat needless blindness globally by the year 2020. This centre will provide fully integrated range of in house ROP services that includes screening, pediatric ocular imaging, medical and surgical treatment, pediatric refraction, amblyopia and squint management and any other eye associated problems. About a million newborns in India are going blind within the first two months of life. More than 60% of visual impairments in babies are preventable or curable with timely detection and prompt intervention. ROP is rapidly evolving as a leading cause of childhood blindness in developing countries including India. ROP affects pre-term babies while they are still under intensive care. It can result in severe bleeding inside the eye, delayed retinal development, near-sight, cross eye, lazy eye or Amblyopia and Glaucoma.The dedicated ROP clinic is equipped with a sophisticated pediatric retinal imaging, diode red laser, indirect ophthalmoscope and all other equipments required for newborn retinal examination. Amblyopia affects about 2-4% of various populations and estimates from India report prevalence of amblyopia up to12.3%. It is estimated that in India about 1 out of every 10 children shall have a predisposing factor to develop Amblyopia. The risk is greater in case of premature children, those developing ROP, family history of amblyopia and other childhood eye diseases such as cataract, squint, refractive errors. Amblyopia is a major public health problem and one of the most common causes of avoidable blindness in children. In addition, persistence of amblyopia throughout the life shall lead to lifelong blindness and loss of productivity. The good news is that it is amenable to good recoveryif detected early in infancy.Appropriate management of this condition is early detection, treatment of the underlying cause with glasses and/ or appropriate surgery for squint, cataract and droopy eyelids. This is followed by a prolonged course of specific therapy to stimulate the lazy eye.